Measure and manage your construction site using visual tools based on drone data. Using drone data and the Propeller Platform in civil construction to track job progress, monitor quality, and resolve disputes easier, saves you time and money when compared to traditional survey methods. Establish accurate, reliable ground control easily with our AeroPoints. Know your progress against design in a few clicks. Capture your own topos. Generate cut and fill maps. Measure distances, grades, and heights in a fraction of the time. Use your 3D survey to have a visual conversation with your team. 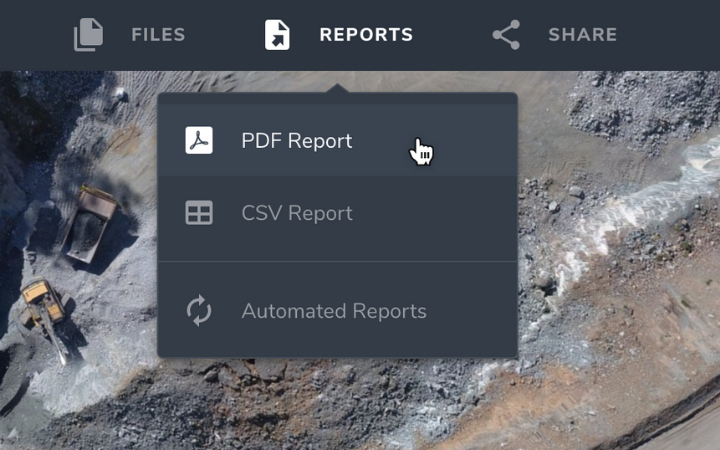 Collaborate and report using Propeller as your single source of truth. Know who’s moved what and when. Conduct your own site surveys before the job begins, and whenever changes occur. You can perform quick volume calculations of material moved for contract conformance and payment—and keep a paper trail for any disputes. Track job progress and productivity against design. Spot and address problems before they become expensive. Instantly generate cut and fill maps to plan grading works. See progress visually by comparing multiple datasets over time. Propeller makes reporting and collaboration easy and accurate. No more silos. It’s your single source of truth, with records of all flights, uploads, and measurements. Generate PDF or CSV reports to share with contractors and stakeholders. If you are managing a construction site and thinking of using drones, check out our construction-specific guide, covering both the hardware and the software you need for success. To succeed in the long run, construction companies need to be as smart and prepared as possible, both before and during a job. Download our industry report and explore the best ways to digitize your worksites and prepare them for the future. Ray Penner Project Co-ordinator/UAV Operations Manager at Scheffer Andrew Ltd.